Planting Hope is directed by a all volunteer board of directors. The board meets monthly to oversee and guide the operation of the organization. Most board members have traveled to Nicaragua at least once and have seen firsthand the services Planting Hope provides and how we have touched the lives of so many Nicaraguans and Americans. Board members also volunteer time by working on short-term projects that benefit Planting Hope including working on the annual Solidarity Craft Fair, mentoring students participating in internships, and of course fundraising. Emily began her interest and participation with Planting Hope in early 2008 when she and her daughter went on a service learning delegation. So impressed by the grassroots involvement and the true, respectful connection with host families, upon returning, Emily immediately filled a needed role as a board member. In November of 2009 Emily accepted an invitation to coordinate and lead a brigade of 30 to Nicaragua for a service delegation in February of 2010. As needed, Emily became a Vermont office administrator for Planting Hope for limited hours during the period of October of 2011 to November of 2012. Emily enjoys her role as a board member and especially helping with the annual craft fair and all other aspects of aiding with program ideas, brigade needs, and budget planning and hopes to be able to continue to develop ideas that support Planting Hope’s vision. Emily divides her professional work time between North Branch Nature Center and Central Vermont Home Health & Hospice, where she works as an LNA. She also mentors students in photography at both Montpelier High School and U-32 and volunteers at other local organizations as time allows. Emily is passionate about giving back to both society and the issues and challenges facing our environmental world as she lives with her family in Worcester Vermont. Beth Merrill grew up in Middlesex, VT, attending U-32 High School. While a student at Hamilton College, she spent a semester abroad in Nicaragua in an internship program, where she was able to practice her Spanish and came to appreciate the culture and lifestyle in Central American. Her internship consisted of teaching first grade to a group of students whose teacher was on maternity leave. Teaching first grade proved to be one of the most overwhelming, but also rewarding and formative experiences. Teaching 40 6-12 year olds she gained an appreciation for the human and material resources available in schools and libraries in the US. Needless to say, without books to teach kids reading, the job as a first grade teacher was difficult. 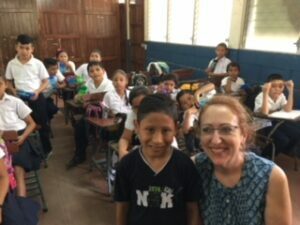 This inspired Beth to pool the abundance of resources available in the US to make a difference in the lives of Nicaraguan kids and their teachers. This difference became a reality in 2001, when Planting Hope was officially founded and continues today. Beth and her husband Joka, kids Ezra and Maizy spend 2-5 months each year with their family in Nicaragua and the remainder of the year in Montpelier, Vermont. Paul is a semi-retired special educator who continues to work in area schools in a variety of capacities. He lives in a housing cooperative, likes to work on the land and sometimes takes in foster children. Since taking early retirement, he has started hiking the Appalachian Trail, taken extended boat trips on the inland waterways, traveled to Egypt, Central America and back to Cameroon, spent extended time with the extended family and served on the Planting Hope board of directors. Beth tells Paul they first met when he gave a presentation to her 7th grade class at U32 upon his return from Peace Corps in Cameroon, West Africa. Somehow, some eighteen years later Paul was getting off a bus in Matagalpa, Nicaragua and working with her and a contingent of Nicaraguans and other Central Vermonters – K.C. Whiteley and Sara Henderson – on the literal ground floor of what was to become the La Chispa Library. In the ten plus years since that trip, Paul had stayed loosely in touch and then got integrally involved again in 2010 when he returned with a large and lively multi-generational delegation. Paul was amazed by the progress that had been made and the vital part of the community the library had become. He was pleased to reunite with his original home-stay family and find one of the daughters grown up and working for Planting Hope. Paul hopes that Planting Hope will continue to adapt to the needs of the Nicaraguan communities it serves and continue to engender the cross-cultural enthusiasm it promotes through its bilateral exchanges. 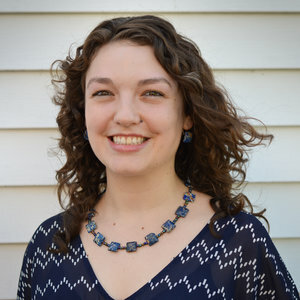 Nora Burkey holds a Master’s degree in Sustainable Development from the Graduate Institute at School for International Training, where she focused her studies on gender in development and food systems. For her Master’s thesis, she conducted research on women’s lending groups in Nicaragua which intended to recognize the unpaid work of women in supply chains. After graduating, she founded a non-profit organization called The Chain Collaborative, which focuses on small community-led development projects with local leaders in coffee communities around the world. 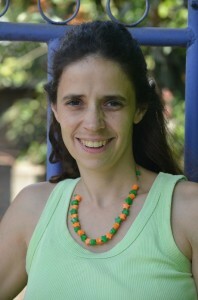 Nora has also written for various coffee publications and consulted for numerous partner organizations in the coffee supply chain. She is currently the only board member based in Nicaragua and has worked closely with the Planting Hope staff since 2014, supporting the team’s monitoring, evaluation and program efforts. I first became acquainted with Planting Hope 13 years ago when I sent my oldest daughter to Nicaragua with a group who worked on the library in Matagalpa. She returned a changed person. Then 3 years ago my daughter took me with her and I returned a changed person. In April 2016 we went on a multi-generational trip. On that trip, I had the opportunity of being wrapped in the love, generosity and gratitude of the people and culture of San Ramon and the surrounding rural schools that we visited. Working with the Planting Hope staff and teaching at the schools left me feeling deeply appreciated. I was touched by the dedication to caring for the environment and sustainable practices that were used on the small coffee farms we toured. I feel loved and cared for by my home-stay family, with whom I am in regular contact. I have had the honor of welcoming visitors from San Ramon to my home as part of my extended family. I have recently returned from my third multi-generational trip with continued desire to pursue the ideals and mission of Planting Hope. Donald de Voil was born in Sierra Leone is West Africa and grew up in Scotland. As a college student, he worked with a number of different NGOs engaged in international development work of one kind or another. 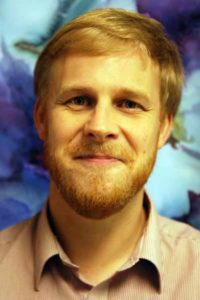 Following a Masters Degree in Environment and International Development, he moved to Vermont with his American wife 15 years ago and became friends with Beth Merrill, founder of Planting Hope. Having frequently used his landscape and nature photography as a way to raise funds for Planting Hope, Donald joined the Planting Hope board in 2017, where he currently serves as secretary. 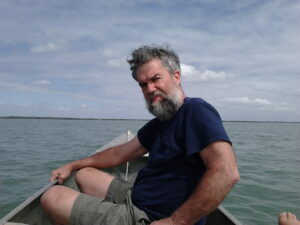 Donald lives in Montpelier, Vermont and teaches for the Community College of Vermont and Northern Vermont University.